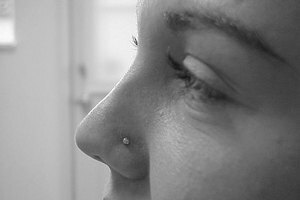 A nose piercing is a facial adornment that's plain as the nose on your face, and the time may come when your jewelry just isn't appealing anymore, work calls, or infection sets in. Of course, it's best to change a completely healed piercing, rather than a new one; it's also good to change a bad stud made of silver, or to put in real nasal jewelry to replace an inappropriate piece. No matter what, make certain that you change your nose jewelry in a sterile environment in order to avoid closure. 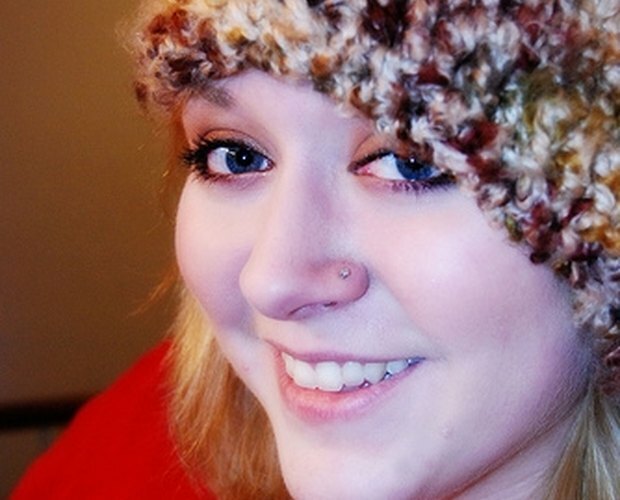 One of the best reasons to change a nose stud is because of the sheer variety of nose jewelry on the market. From heart-shaped charms to diamonds, there's a nose stud to fit every occasion. Select something that is versatile and made from a stainless steel, platinum, or titanium; avoid silver, since it's too soft and prone to oxidation to be sanitary for long periods of time. For men, try something like a metal ball or spike. More adventurous wearers can go for a bolder shape, like a pair of cherries or a skull-and-crossbones. 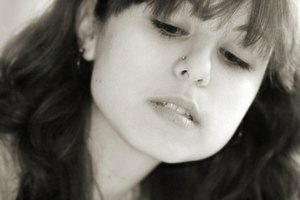 You may also have to change a nose stud for professional reasons. Though many creative and small office environment allow small nose piercings, many corporate and more structured industries frown on them. To avoid this dilemma, change your metal jewelry to what is known as a "spacer": a flesh-toned, unobtrusive plastic piece that fits into your hole to keep it from closing. Spacers are pretty clear, so it's possible that others won't even know you have a nose piercing during work hours. Return to normal jewelry after work hours and on the weekends. A switch may be necessary for piercings that become infected, but only after the infection is healed. 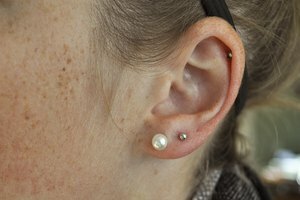 If a small bump shows up around the outside of a piercing, then the hole is infected. To avoid permanent keloid scarring, simply use salt water around the bump as it forms. Don't remove the jewelry during treatment; these bumps aren't serious problems, and will vanish with a couple of days' worth of weak saline baths. If the culprit is old jewelry, change your stud to something new, clean and made of stainless steel. Another reason to change your jewelry, besides infection, is when it's simply not the right jewelry for you. For instance, a person that self-pierces and uses an earring instead of appropriate nose jewelry will need to change to the right type of stud. 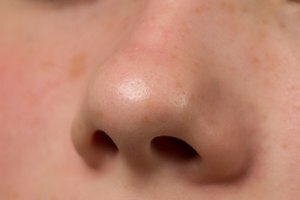 Nasal jewelry is made especially for the sensitive skin of the inner nose, with rounded, hooked ends that keep the piercing from being yanked out by accident. The right jewelry is the only way to make sure that you won't be surprised by a stud that slips out in your sleep. Don't change your nose stud in its healing phase. The first month or two is a delicate time for a new piercing, and taking jewelry out for even a short amount of time may result in hole closure in a matter of moments. Also, make certain that your hands and new jewelry are clean; avoid changing a piercing in any sort of unsanitary conditions. A piercing is an open wound, and should be treated with the utmost care. Finally, don't change one type of simple piercing to another that is complicated to insert. Novices should stick to nose bones or L-shapes, since nose screws can be frustrating to fit and place correctly.